Hawaiʻi’s farm-to-school movement is gaining momentum – putting locally sourced food on lunch plates, growing school gardens, and bringing ‘āina-based education into classrooms. Above, KS Maui Sustainability and ‘Āina-Based Learning Designer and Facilitator Hōkūao Pellegrino, Cook Hector Enriquez, and ‘Ike Hawai‘i Kumu Kēhau Lucas cook up some kalo leaves as part of the campus’ farm-to-school efforts. 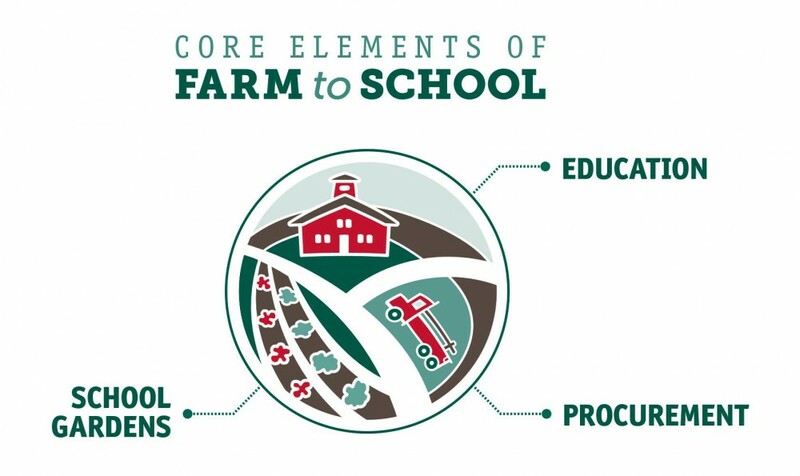 Join the KS Farm-to-School Team to help empower keiki and ‘ohana to make informed food choices and connect communities with our farmers, strengthening the local economy! Your ‘ulu ‘ike is needed! Share your ‘ulu recipes, curriculum, videos, songs, stories, or project ideas with the Hawai‘i ‘Ulu Producers Cooperative and Hawai‘i Farm-to-School Hui! The deadline to contribute to the project is Friday, March 15. Current team members are: Sustainability Manager Amy Brinker, Strategic Analyst Sierra Fox, Land Education Administrator Māhealani Matsuzaki, Community Engagement and Resources Regional Supervising Project Manager Kamana‘o Mills, and CE&R Regional Project Manager Keoni Shizuma. If you are interested in growing this initiative, please contact Brinker at ambrinke@ksbe.edu or 534-8048. If you and yours have ‘ulu (breadfruit) recipes, curriculum, videos, songs, stories, or project ideas, share them with the Hawai‘i ‘Ulu Producers Cooperative and Hawai‘i Farm-to-School Hui! The groups are creating an ‘ulu resource library and informational packets for teachers wanting to incorporate ‘ulu into their lesson plans. Please visit the project’s survey site by Friday, March 15, for details and to share your ‘ike. 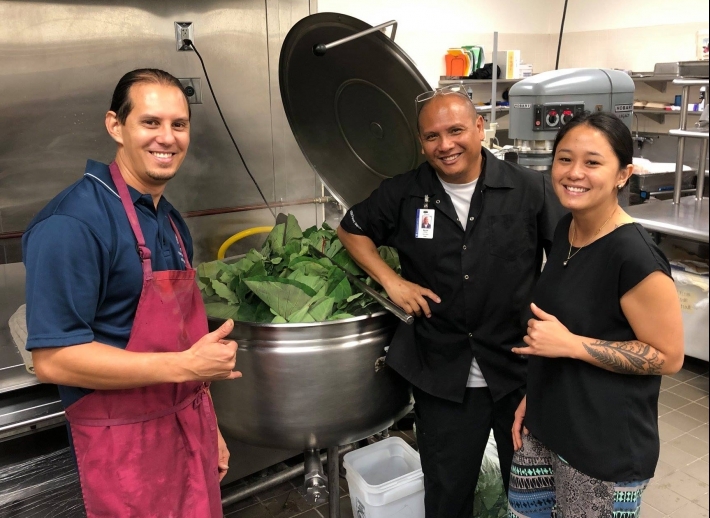 Kaua‘i’s ‘Ele‘ele Elementary School recently became the state’s first public school to serve kalo to keiki as an official starch on its lunchtime menu – something Kamehameha Schools campuses have been doing for years. Incorporating locally sourced foods into school lunches is a big step toward food sovereignty, ensuring that our people have healthy and culturally appropriate food produced through sound ecological and sustainable methods. Kamehameha Schools has partnered with several community organizations to help Hawaiʻi’s farm-to-school movement gain momentum – putting locally sourced food on lunch plates, growing school gardens, and bringing ‘āina-based education into classrooms. If you have an appetite for ‘ai pono, and want to share it with Hawai‘i’s educational community, please join us in our efforts below.